As far back as I can remember, the everyday laptop has not seen a big change in design or form factor in a very long time, and for good reason. Innovation comes at a cost and the budget buyer is not looking for fancy tech in his everyday machine. He is, however, looking to get the most out of his money. That doesn’t mean that laptop makers are not doing new things to get people excited. In fact, we recently saw the Asus VivoBook S15, which is a 15.6-inch laptop in a 14-inch chassis. It is a very good example of something unorthodox and new, but whether consumers like it is yet to be seen. Contrary to this, laptop makers like Lenovo are still doing things the old fashioned way, obviously with some tweaks. The latest 15.6-inch budget laptop line-up, AKA, the Ideapad 320 range is a more refined approach to their mainstream 300 series, but is it any good? 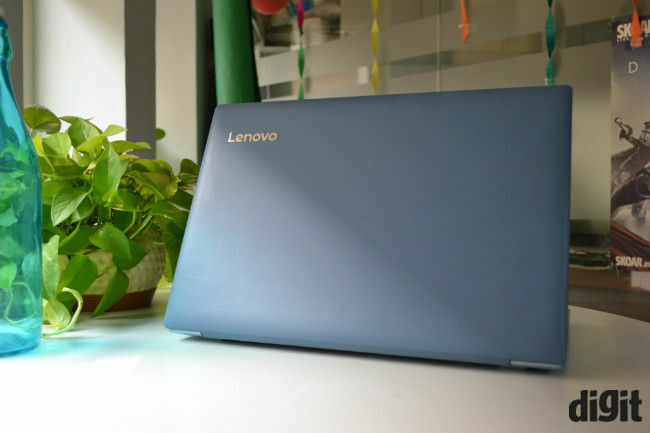 Like every year, Lenovo has also updated the design and looks of its laptops and the Ideapad 320 now seems like a better version of the Ideapad 310. Gone is the dual tone exterior with non-glossy and scratchy plastic. Instead you get a matte plastic exterior. The Ideapad 320 feels nice to touch and is well built for the most part. 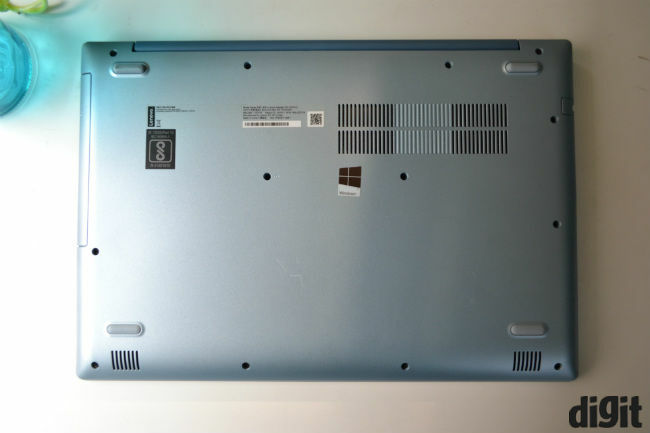 However, there is some noticeable flex in the keyboard deck as well as in the lid. But compared to other budget laptops, this is better than most. The Ideapad 320 is still as big and bulky as any other laptop in its category, but it looks sleeker from all angles. In reality though, it is just 1mm thinner than the outgoing model, but the length and height of the machine are the same. I am skeptical whether to call this machine evolutionary, but I would say that the machine looks premium at first glance. I also like the fact that you do get half a dozen colour options on the Ideapad 320, though budget buyers don’t necessarily look at colours. While everything seems up to the mark, there is a pertinent price issue here. The problem is that the Ideapad 320 lineup starts at around 20K and at that price point this build quality is rather good. However, the machine we are reviewing here is the top of the line variant with a price tag of Rs. 65,990. At this price, you can not only get better looking machines but with premium metal build as well, that too from Lenovo itself. While the build quality is certainly inferior to almost all machines you can get around the 65K price, the display on the laptop is a mixed bag. It is a 1920 x 1080p display, which is a good thing, but with sub-par viewing angles. You can only read text on this display without straining your eyes only when you are looking straight at it. Moreover, colour reproduction isn't very good and low display brightness doesn't help either. With an overall luminance value of just 175 lux at the centre, the brightness of the ideapad 320 is even inferior to its predecessors. Hence, if someone is looking for a machine to binge watch videos or just edit some images, skip this one. 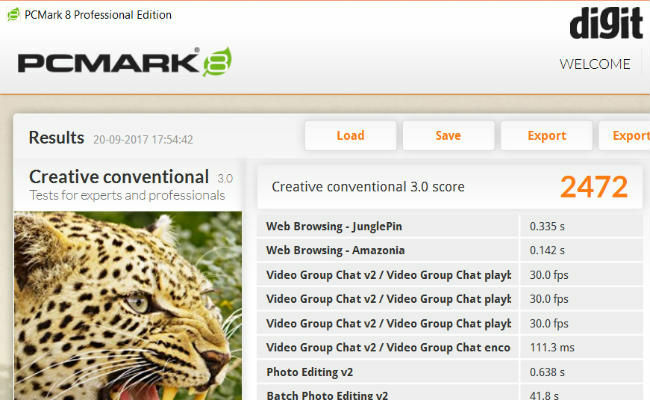 The 180 degree hinge is still present this year and although it does not add any value to the whole package, some users may still like it. Lenovo has stuck to the basics for the I/O on the new Ideapad 320. All the ports have now been moved to the left side, with only the DVD drive on the right side of the machine. So, you get a ethernet jack, two USB 3.0 ports, a microphone / headphone jack combo, one USB 3.0 Type-C port, an HDMI port and an SD card slot, all on the left of the device. 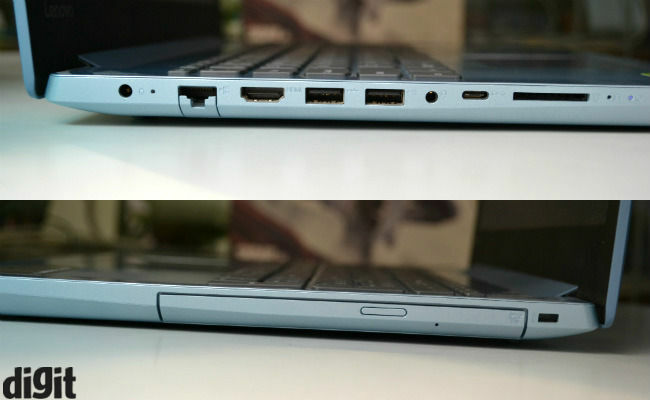 The proprietary power port is also located on the left side and like last time, the power brick is integrated on the plug itself. I would also like to add, that a ThunderBolt port would have been preferred instead of the USB Type-C port, especially at this price. Lenovo continues to offer a satisfying keyboard experience on its mainstream line of laptops. 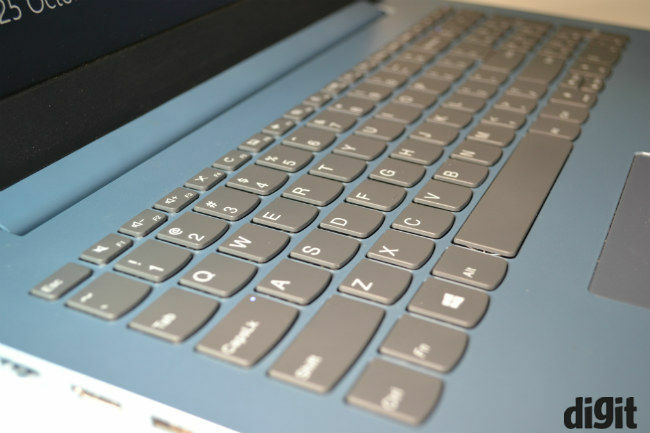 The new layout on the Ideapad 320 is almost identical to the one we saw last year, but with one key difference — the up and down arrow keys on the keyboard are now smaller, making way for a full size right shift key. Lenovo is still using an island style keyboard with flat keycaps and all the keys have similar and linear depression. The typing experience is smooth and we did not find it fatiguing in any way. The actuation point is just fine for typing and each key makes a distinct click sound. The only feature someone buying a 65K machine would be craving for would be keyboard backlighting, which isn't present. 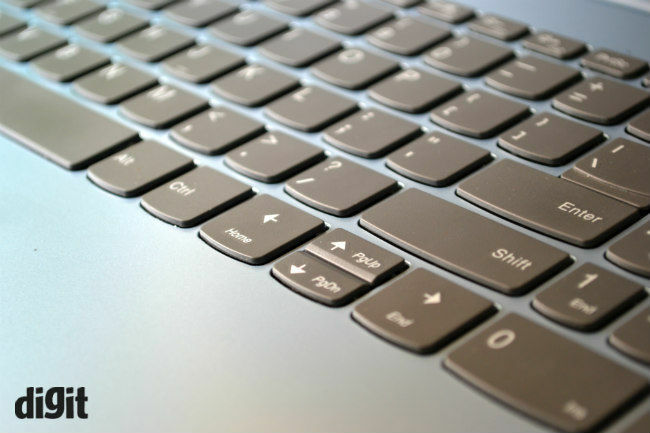 You get a large touchpad below the keyboard, with the left and right keys now integrated into the touchpad itself. Like last year, it supports all Windows gestures, but pointer speeds are a little slow out-of-the-box. 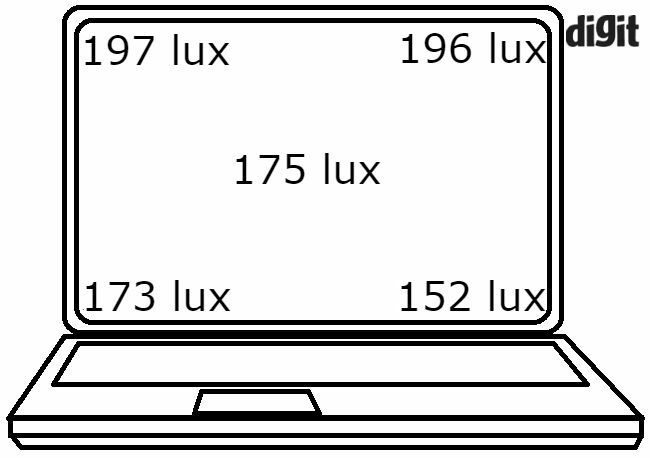 The surface is smooth to touch, but not as smooth as a glass touchpad. The left and right keys press down with a clicky sound and do not require a lot of force to use. 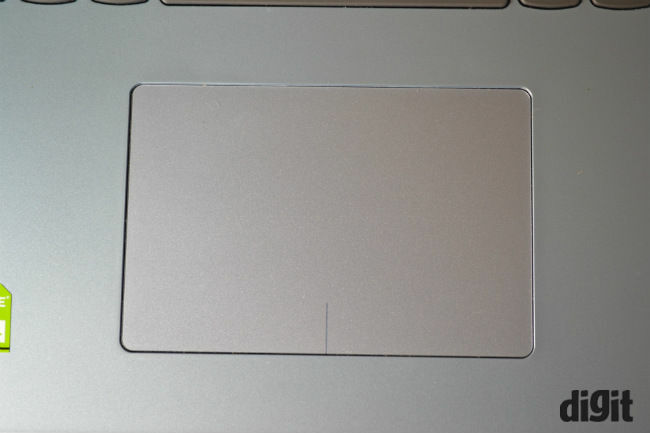 Also, both keys only work if you are pressing only the bottom of the touchpad. 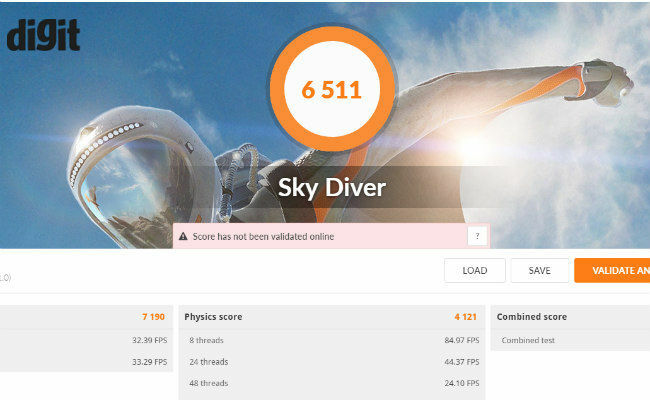 Our test machine was powered by the new Intel Core i5-7200U processor, which is one of the most popular processors you get at its price. Lenovo pairs this CPU with 16GB DDR4 RAM and a discrete 4GB NVIDIA GeForce 940MX GPU. On paper, this combination looks really good and performs just as well in real life. However, I did find the 5400RPM 1TB HDD drive to be quite slow for a machine priced at 65K. Still, apart from the slower hard drive speeds, the machine gives little reason to complain. 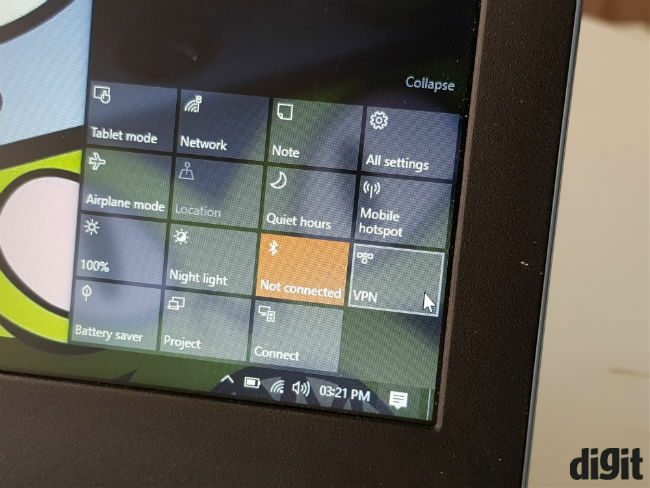 The laptop is snappy in all kinds of office tasks, ranging from opening office docs and mail to using more multi-threaded workload, like encoding video files. Using the machine as a daily driver with Office apps, browsing, FHD video playback and some frequent video conversion, I faced no issues. 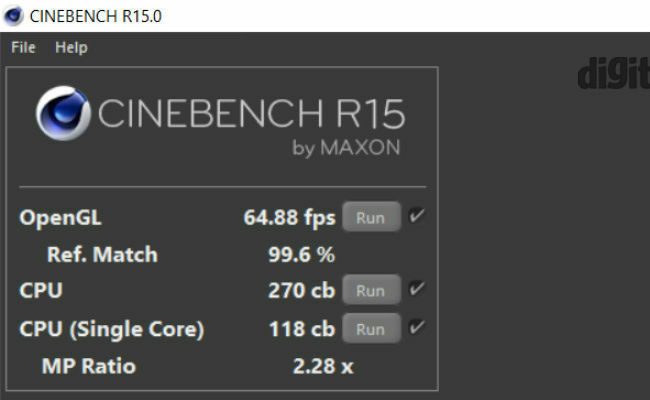 The GeForce 940MX is not a very gaming friendly GPU and struggles to keep frame rates above 20fps in games like Doom at ultra settings. However, if you are into casual gaming and enjoy games like Dota 2, CS: Go etc. then this machine would happily provide you 60+ fps at high settings. Lenovo has also done a decent job with cooling here and I did not observe any heating or major throttling issues even after long gaming hauls. Audio quality via the two bottom mounted speakers has improved from last year, but it still lacks quality and volume. There is decent stereo separation from the two bottom mounted speakers firing towards the user, however it is still nowhere near the audio output a two-year-old MacBook Air archives. Last year’s ideapad 310 with its 7th gen Intel Core i3-7100U and integrated graphics clocked 4 hours in our battery test. 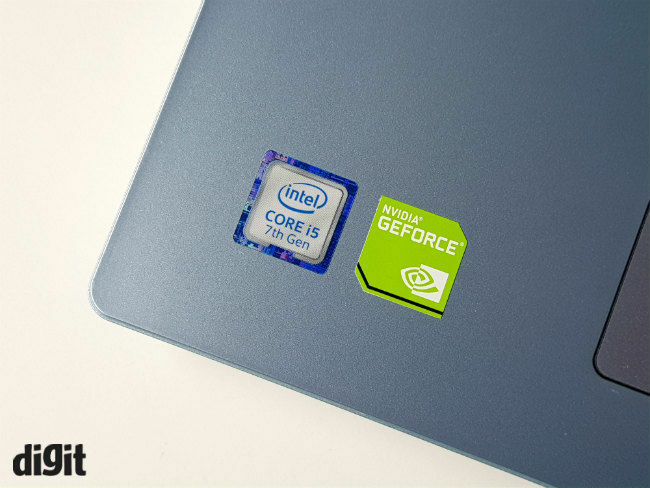 This year, the new Ideapad 320 with its hungry Intel Core i5-7500U processor and dedicated NVIDIA GPU, also manages 4 hours battery life. In addition, this particular model has a 1080p display as well. Hence, it seems like a good improvement over its predecessor. However considering how thin and light machines are offering superb battery life today, I believe a larger 15.6-inch laptop should provide better battery life. So, although there is some improvement, this mainstream laptop still has some more ground to cover. The Lenovo Ideapad 320 is more than an everyday work machine. It has good overall performance, decent keyboard, and passable battery life. However, considering its higher price tag, Lenovo should paid more attention to build quality and display, and added at least a 7200RPM HDD. Simply put, at an asking price of around 65K, it doesn’t really offer the best value for your money, even with its 7th gen Intel Core i5 processor and a dedicated GPU. Around the 65K price tag, you will have a multitude of options ranging from Lenovo’s own slimmer and lighter Ideapad 520s, Dell’s Inspiron 7000 series, HP’s Pavilion X360 and more. All of these not only have a better visual appeal, but are better built as well. In terms of overall performance and outright specifications, the Ideapad 320 remains at par with the competition, but the slower hard drive and overshadows whatever points it gained for performance. All that said, you can basically get almost the same hardware in a sub-50k Asus laptop easily, with the exception of 16GB RAM.